OCT '15 | Hanoi, Vietnam: Part 2. The Temple of Literature was next on the agenda- however, we realised that not only were we crashing a graduation ceremony but I noticed a sign which said 'short skirts and trainers' were not allowed. Cue impromptu cringy OOTD opposite the temple and café hopping. 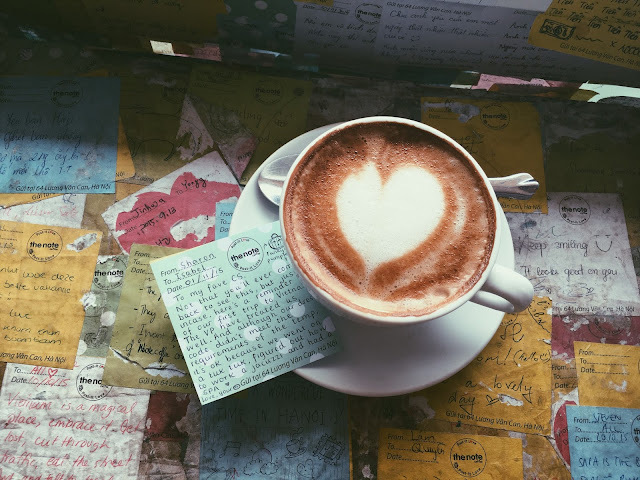 Maybe it's because I can't read maps for the life of me, but there's always something exciting about not completely following an itinerary, so I was happy to discover The Note Coffee, with its three floors of hipster goodness. The entire interior of the café is covered in post-it notes and cà phê game was strong. Looking round faced and awkward on the right. We decided to engage in some final tourist activities; buying Wolverine and Harry Potter coffee mats as souvenirs didn't count, so we visited one of Hanoi's cultural gems at The Thang Long Water Puppet Theater. Although the entire show was in Vietnamese and I didn't understand a single word, it was quite entertaining to watch. 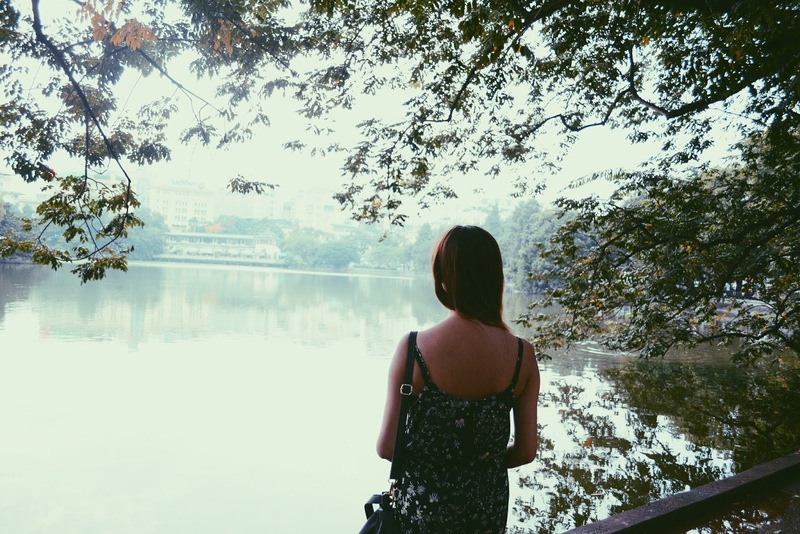 It's doubtful I will have a reason to return but Hanoi is definitely a place worth remembering. 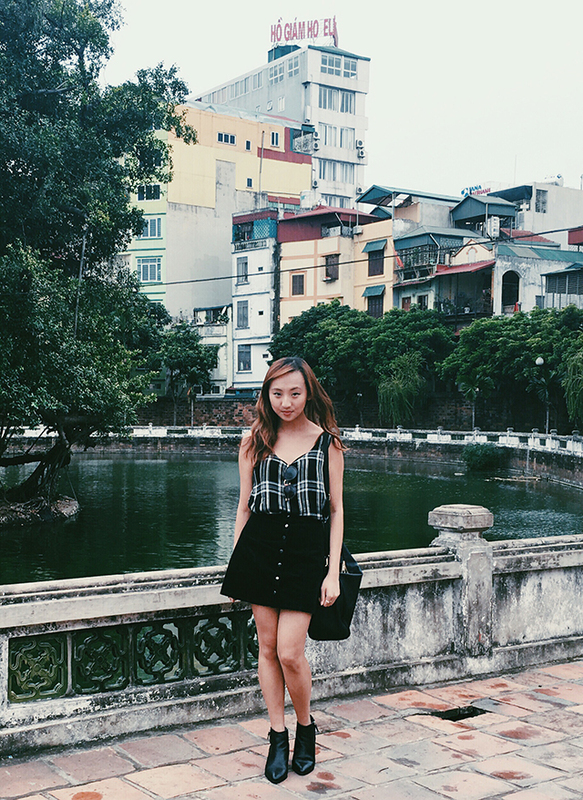 OCT '15 | Hanoi, Vietnam Part 1. An extremely overdue post on my trip to Hanoi, Vietnam dating back to the end of October, alongside my sister from another mister, Sharon. We arrived pretty late from Hong Kong, so we decided to go all out at dinner as we were practically 'millionaires'. ₫ 1,000,000 equated to £30. Dong currency- you are confusing, not to mention your name's pretty unsuitable for the immature. 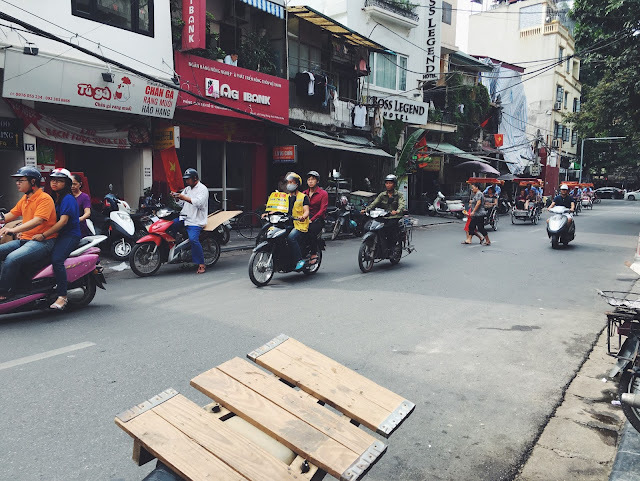 We stayed in a hotel named, Boss Legend in the traditional Old Quarter of Hanoi where motorbikes were non stop and the hustling and bustling streets were filled with plastic stools and an endless supply of coffee. The Vietnamese are big on coffee shops as I soon found out when I unknowingly took a sip of 'weasel poo' coffee and claimed how nice it was, until Sharon told me about a particular ingredient. The clue was on the packaging really. A great big picture of a weasel. Nice one. The traffic was insane, I doubt I'll see anything like it again. There was a constant cacaphony of noises coming from our hotel and traffic light crossings were sparse, if any. On the first day, we watched a group of tourists fearlessly crossing the road without motorbikes and cars whizzed past them. I was a road crossing pro too by the end of it all. Y'all better believe it. 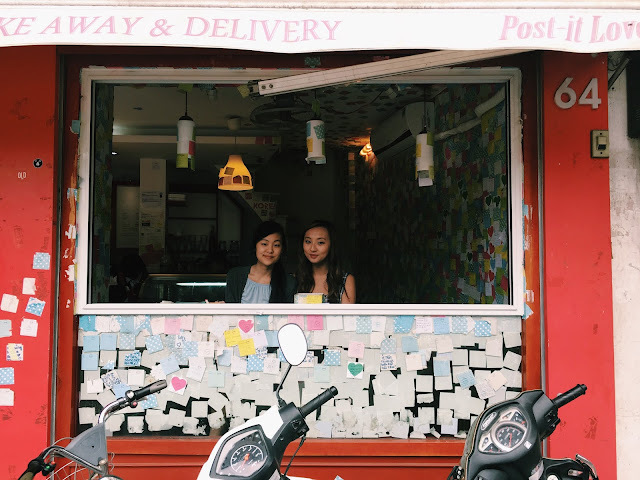 Our first full day in Hanoi and we were on a mission to find 10am pho and a spa. We discovered a street dedicated to shoes, five minutes into our search. We looked like a right pair (excuse the pun) of gormless tourists, when a grinning Viet man suddenly bent down in front of me and started glueing my sandal ... I screamed and ran away from the scene. In hindsight, I probably should have thanked him for 'fixing' the hole in my sandal. So. The spa experience. This is when the language barrier came to life when we were greeted by two Viet men who handed us paper underwear to cover our modesties and left us to 'enjoy' the steam bath. Except, we didn't quite know what we were doing and stood there. I've never been to a spa before so I wasn't quite what to do. Fast forward several minutes of confusion, we were then accustomed to a full body scrub. He was wearing a gold chain. I pretty much spent the entire scrub session trying not to laugh. The rest of my session was pleasant though, when a woman overtook and I came out alive and feelin' fresh as a daisy, despite feeling slightly scarred for life at the thought of a gold-chained Viet man scrubbing my crack. 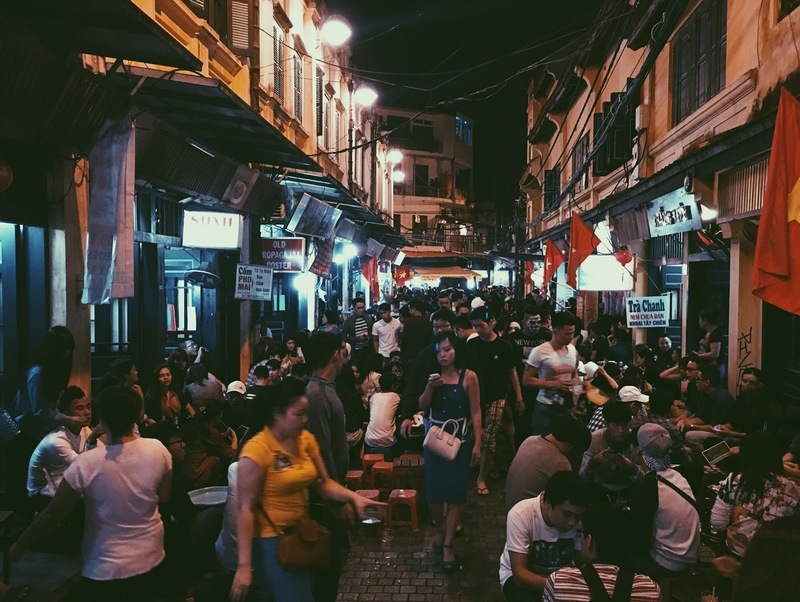 Later on in the evening, having visited the Hoan Kiem Lake, the kind waitress at the restaurant we were eating at, gave us a list of 'bars' that she liked. Wifi-less, we decided to go on a whim and we may have ended up in a nightclub at 10pm. Did I mention it was Halloween? 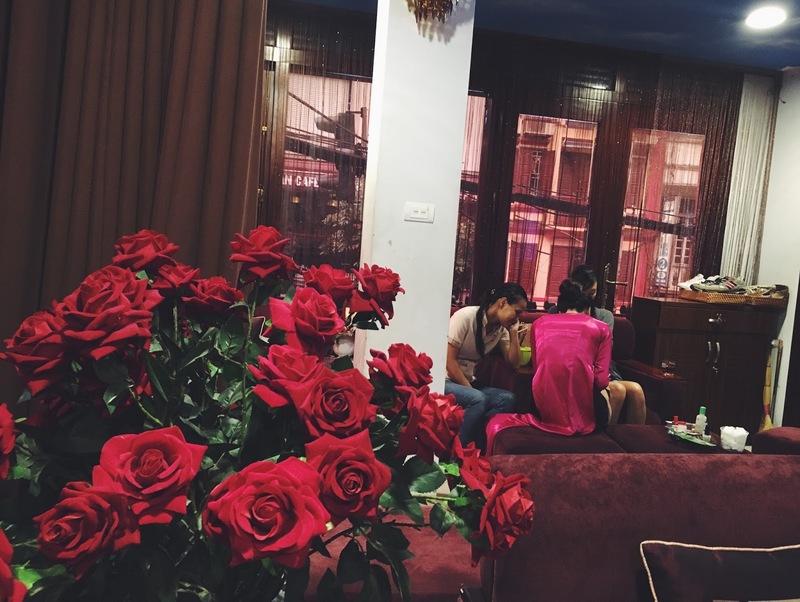 Viet girls in cat ears were roaming around the foyer. Not exactly the scene we were looking for. Feeling less spontaneous (wi-fi time) and minutes later, we were on Ta Hien Street, one of the liveliest streets of the capital. 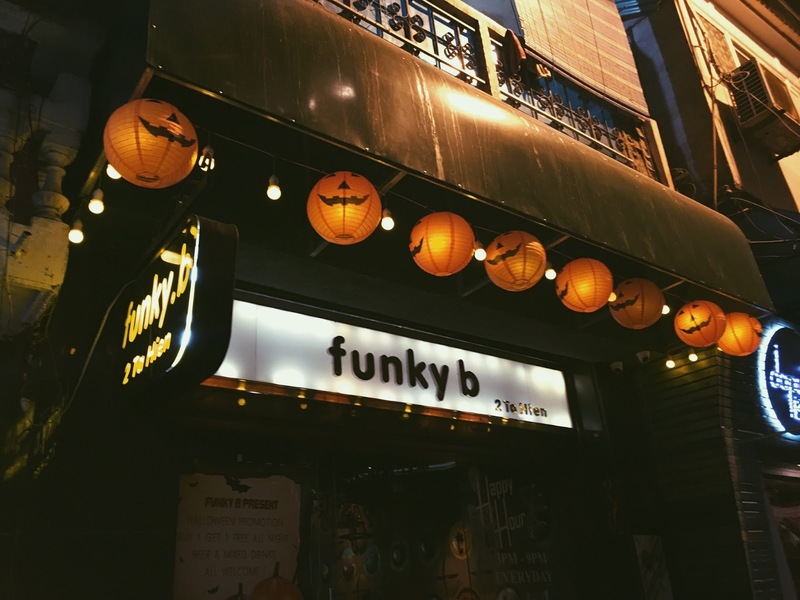 We were bombarded with a plethora of bars and food places and soon found Funky B, our Halloweeny destination. And I also got to go on a Tuk Tuk! 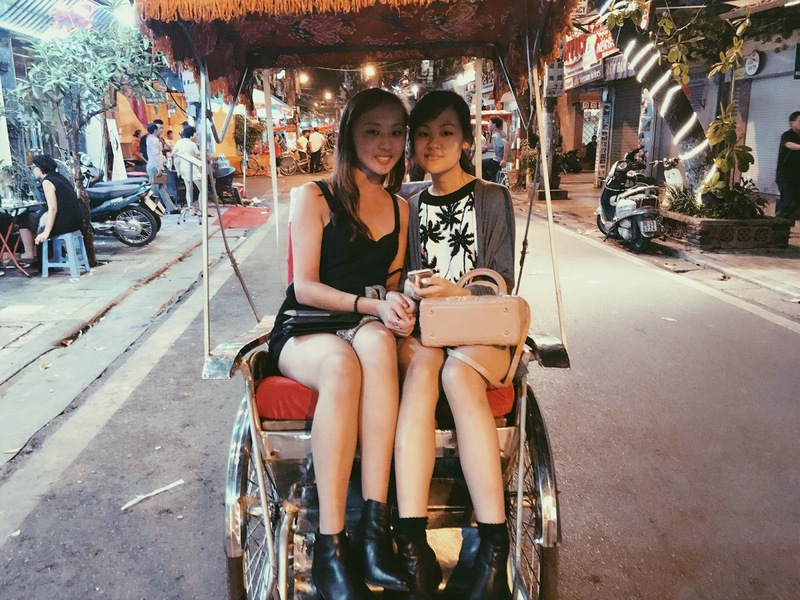 It was so worth it, even if the Tuk Tuk man conned us but I'll forgive him; cycling that thing doesn't seem like an easy one. APRIL '15 | Chiang Mai, Thailand. 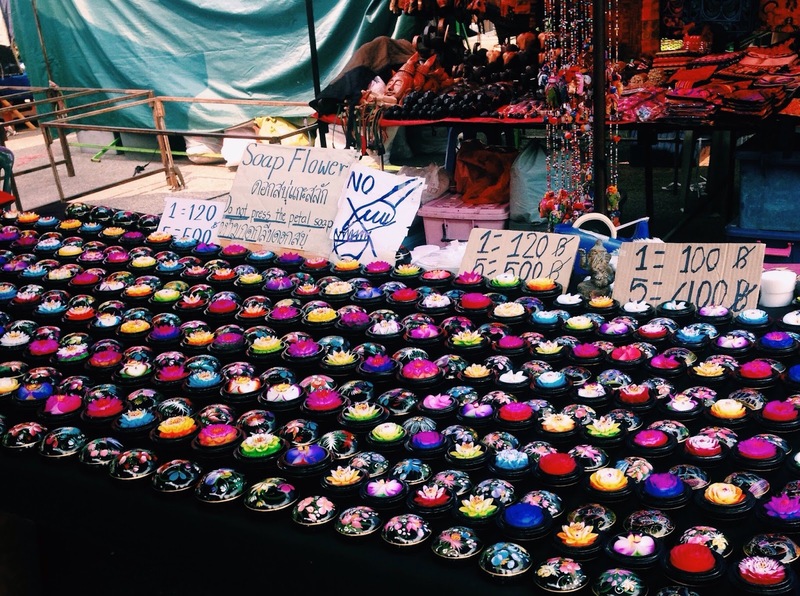 I've got to admit, I knew nothing about Thailand before I went and not much planning was involved on my behalf other than spontaneously booking my flight. 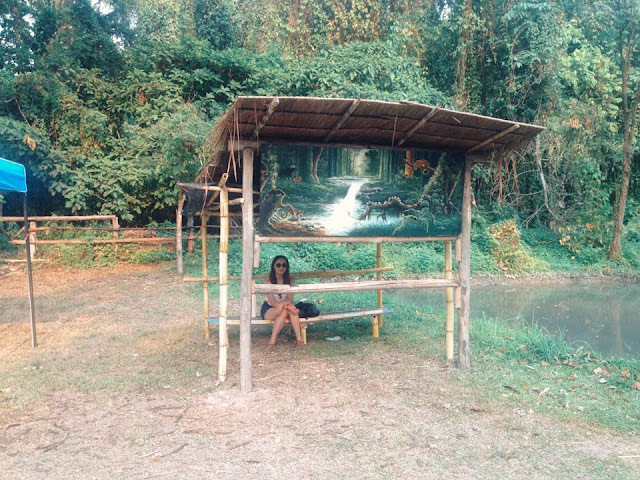 I decided to visit one of my hometown friends who was living in the city of Chiang Mai, North of Thailand. Tour guide, check. ✔ I was so excited to escape as teaching for six hours in a row on a daily basis was less than ideal so cue a mini breakdown; Easter break couldn't have come soon enough. My first mission was to get through customs and fill out an obligatory form which required the address of the place where I was staying. Shame I only knew the address in Thai... I decided to queue up anyway with the address space blank, only to be shouted at by a Thai man and told I had to write an address. M'bad. Waving my phone in the air in despair, I managed to get the help of a poor security guard who probably felt a bit sorry for me. Sawasdee ka, Thailand! 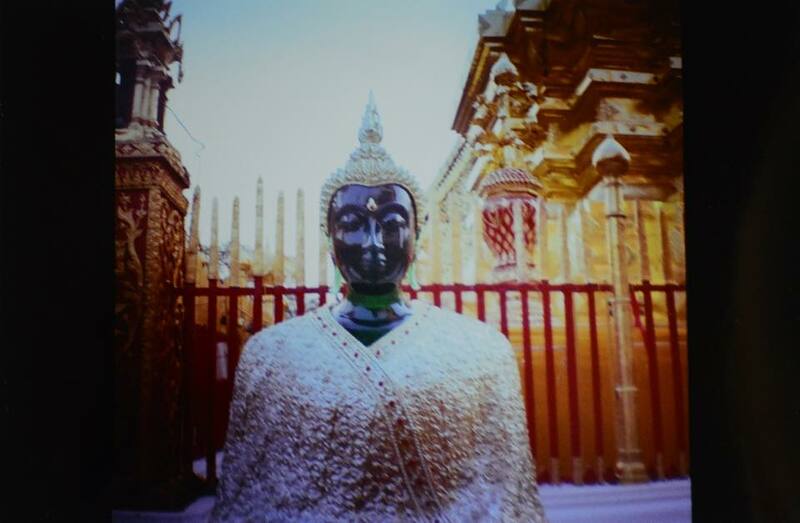 The only successful shot taken from my Diana mini prints. 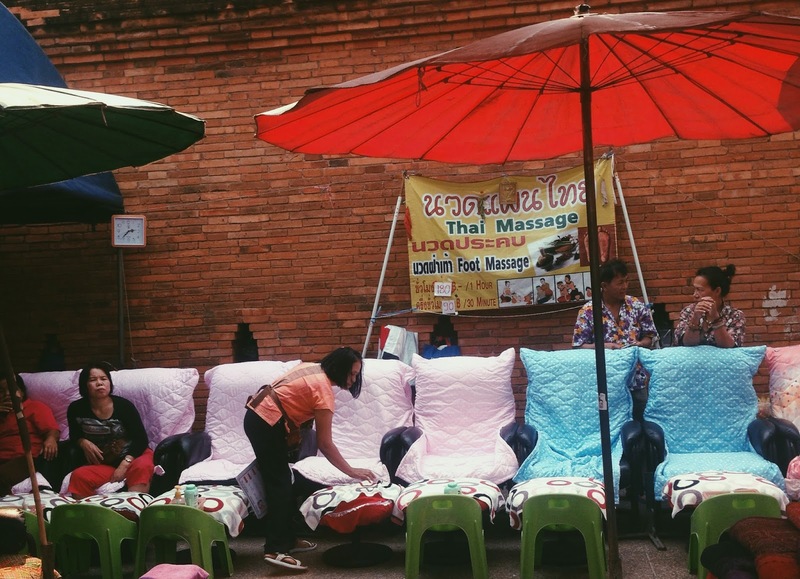 Thailand was a massive culture shock to me, as the relaxed and laid back vibes were a far cry from busy Hong Kong, yet I felt like I was local as I clutched on for dear life, embracing that ped life. The friendly Thai love peds. 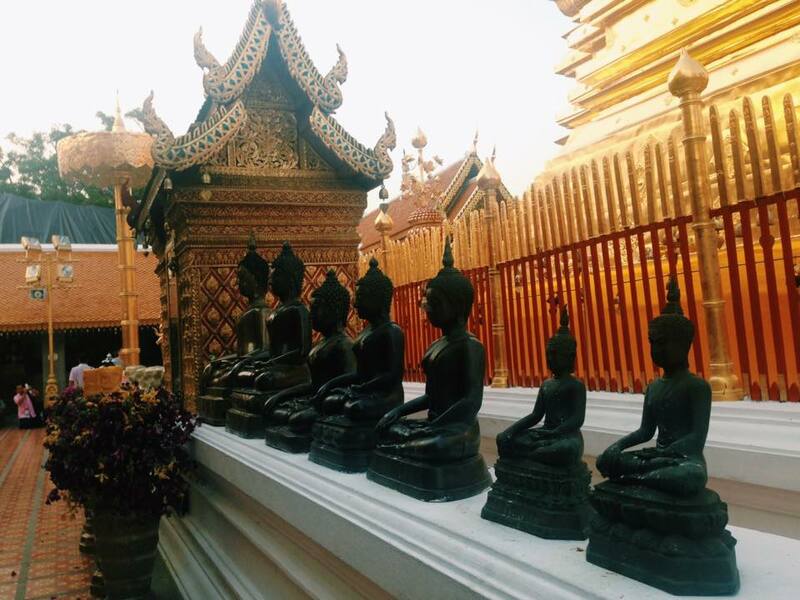 First stop, a temple called Doi Suthep. We had to take our shoes off as a sign of respect as we followed the 'foreigners this way please' sign to buy a ticket and wandered around the traditional temple to admire the views. Shortly after my time in the temple, I saw a dog with eyebrows. I repeat. Eyebrows. Anyway, the first night led me to an experience at Zoe in Yellow, one of Chiang Mai's popular bars. Not before swigging a few questionable drinks at the Crazy German bar though, and catching a casual Tuk Tuk back to the apartment to catch some zzz's. G'afternoon to Chiang Mai day two. As I was feeling completely lazy, the activities were non-strenuous but I was content with wandering around the local markets full of interesting trinkets and cheap clothes where we stumbled upon a Thai Massage corner which resulted in some lady touching my foot for half an hour. Sorry, poor gal. Day two was definitely a tourist write off as all I can remember is pizza (how authentic) and watching Silver Lining's Playbook. Day three marked my last full day in Chiang Mai, and the time I decided to do an all-nighter in order to catch my flight at 7am the next morning which I soon lived to regret by 4am when I was trying so hard not to close my eyes whilst being transported to the airport in an open tuk tuk. 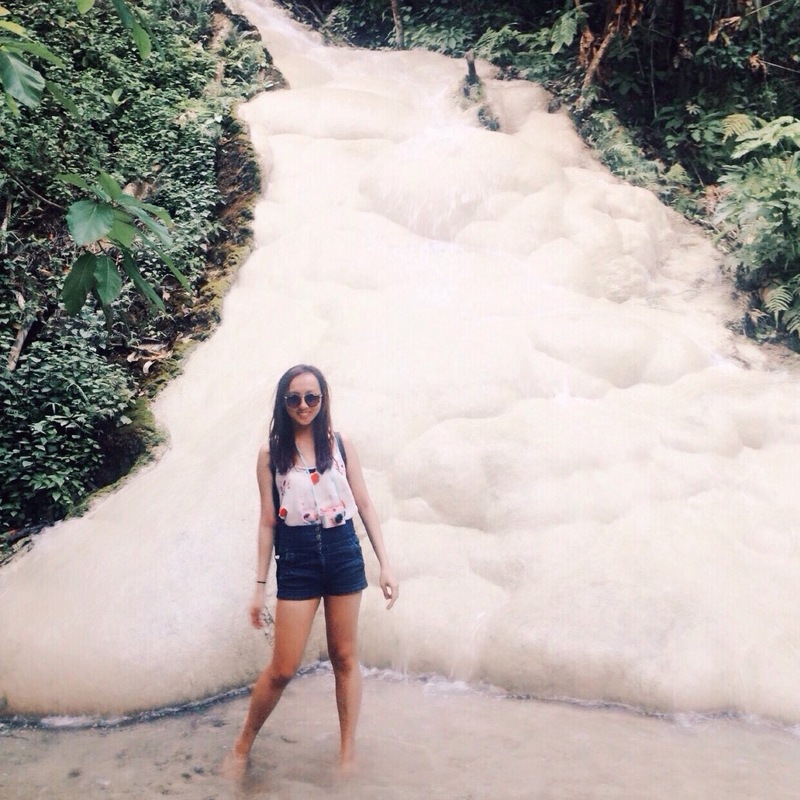 The last day consisted of visiting the Bua Thong Waterfalls and it was amazing. After arriving at the site of the waterfall, I felt like I was in the film, Wanderlust, minus the hippy community. I pretty much yelped the entire time, ruining that peaceful tranquility as I climbed that waterfall where the rocks looked like gigantic clouds. I don't particularly have a good track record when it comes to not falling over and twisting my ankle or something, but I managed! Kind of. 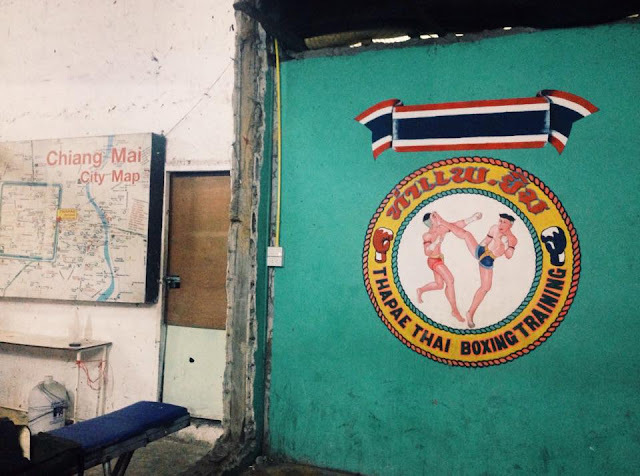 I round up my short but sweet trip in Chiang Mai with a rowdy and atmospheric time watching Muay Thai boxing at the Thapae Stadium which was a pretty cool experience, I'd definitely recommend. It feels weird writing about something that happened pretty much nine months ago but it makes me want to go back to South East Asia pretty badly.